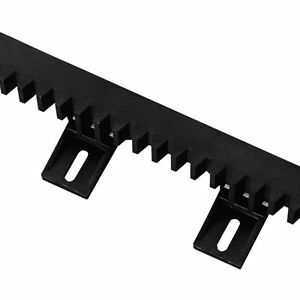 1 m of nylon gear rack for sliding gates systems with steel coren. ACRV4 - M4 x 1000 mm grey colour rack with 4 lower overlapped. Max 500 kg. ACRV6 - M4 x 1000 mm grey colour rack with 6 lower overlapped.